Rails 5 has introduced a bunch of new great features, but one of the most anticipated ones is of course ActionCable. ActionCable seamlessly integrates WebSockets into your application and offers both client-side JS and server-side Ruby frameworks. This way, you can write real-time features in the same styles as the rest your application, which is really cool. Learn more on ruby with our tutorial Simulate User Behavior and Test Your Ruby App on SitePoint. Some months ago I wrote a series of articles describing how to build mini-chat with Rails using AJAX, WebSockets powered by Faye and Server-sent events. Those articles garnered some attention, so I decided to pen a new part of this series instructing how to use ActionCable to achieve the same goal. The working demo is available at sitepoint-actioncable.herokuapp.com. Devise will be used for authentication and authorization (you may read this article to learn more) and Bootstrap 4 – for styling. Note the includes method here used for eager loading. Finally, preparations are done and we can proceed to coding the core functionality of our chat. Before proceeding, install Redis on your machine if you do not already have it. Redis is available for nix, via Homebrew and for Windows, as well. Or simply use adapter: async (the default value). Consumer is a client of a web socket connection that can subscribe to one or multiple channels. Each ActionCable server may handle multiple connections. Channel is similar to an MVC controller and is used for streaming. You may read more about ActionCable’s terminology here. Here, we basically subscribe a consumer to the ChatRoomsChannel and pass the current room’s id (at this point we do not really pass anything, but that’ll be fixed soon). The subscription has a number of self-explaining callbacks: connected, disconnected, and received. Also, the subscription defines the main function (send_message) that invokes the method with the same name of the server and passes the necessary data to it. Of course, you might use the basic form tag instead of relying on the Rails form builder, but this allows us to take advantage of things like I18n translations later. Note the jQuery(document).on 'turbolinks:load' part. This should be done only if you are using Turbolinks 5 that supports this new event. You might think about usng jquery-turbolinks to bring the default jQuery events back, but unfortunately it is not compatible with Turbolinks 5. 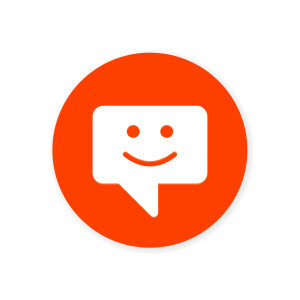 When the form is submitted, take the message’s body, check that its length is at least two and then call the send_message function to broadcast the new message to all visitors of the chat room. Next, clear the textarea and prevent form submission. subscribed is a special method to start streaming from a channel with a given name. As long as we have multiple rooms, the channel’s name will vary. Remember, we provided chat_room_id: messages.data('chat-room-id') when subscribing to a channel in our script? Thanks to it, chat_room_id can be fetched inside the subscribed method by calling params['chat_room_id']. unsubscribed is a callback that fires when the streaming is stopped, but we won’t use it in this demo. The last method – send_message – fires when we run @perform 'send_message', message: message, chat_room_id: chat_room_id from our script. The data variable contains a hash of sent data, so, for example, to access the message you would type data['message']. There are multiple ways to broadcast the received message, but I am going to show you a very neat solution based on the demo provided by DHH (I’ve also found this article with a slightly different approach). Once we receive a message, save it to the database. You don’t even need to check whether the provided chat room exists – by default, in Rails 5, a record’s parent must exist in order to save it. This behavior can be changed by setting optional: true for the belongs_to relation (read about other changes in Rails 5 here). Having this in place, we achieve even two goals at once: the current_user method is now available for the channel and unauthenticated users are not able to broadcast their messages. Under the hood Devise uses Warden for authentication, so env['warden'].user tries to fetch the currently logged-in user. If it is not found, reject_unauthorized_connection forbids broadcasting. Great! Check out the resulting script on GitHub. Having this in place, you can push your code to Heroku and observe the result. Yay! In this article we’ve discussed how to set up ActionCable and code a mini-chat app with support for multiple rooms. The app includes both the client and server sides, while providing a basic authorization mechanism. We also employed a background job to power up the broadcasting process and discussed steps required to deploy the application to Heroku. Hopefully, you found this article useful and interesting. Have you already tried using ActionCable? Did you like it? Share your opinion in the comments. Follow me on Twitter to be the first one to know about my articles, and see you soon!